I love Betty dearly and was honored to be able to participate in this day with her and the rest of her very, very large extended family. The gang leader, Corinne has outdone herself in organizing this event. I hope your day is filled with scary, spooks and goblins, in the best way possible. Make sure you check out the other incredible ladies who helped to make this day super awesome. Oh my gosh! It's GORGEOUS!!! Thank you so much, and you are right I have one huge amazing, wonderful extended family! You are all so amazing and special to me thank you thank you thank you!! So stunning! Love the great distressing! Beautiful! 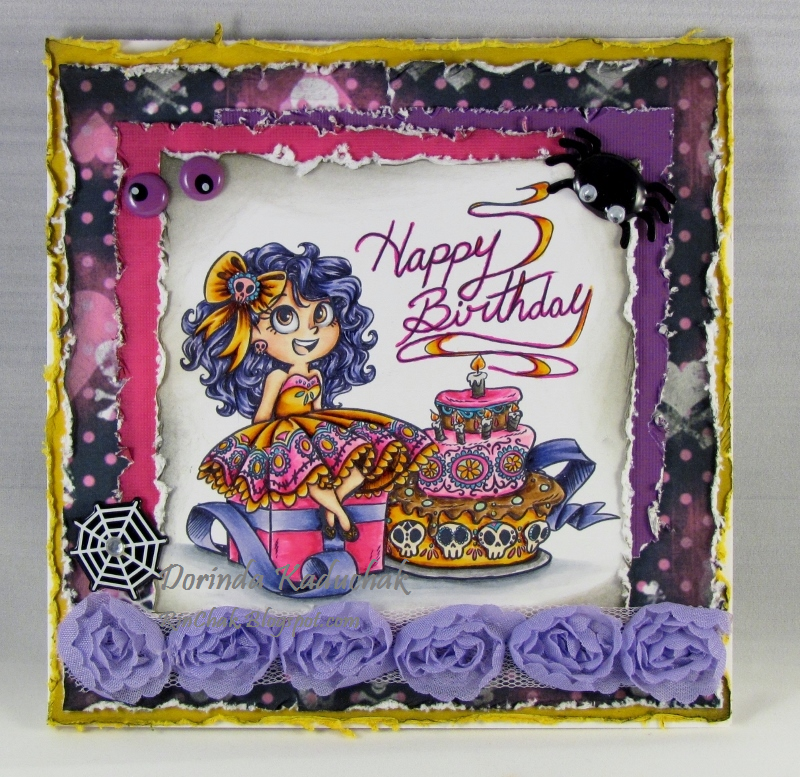 Love all the distressing and the purple rose ribbon! your work is always so fantastic, and this is just gorgeous!! thank you so much for joining in the hop!! Love all the layers, stunning card!